Tube amplifiers are popular pieces of equipment. This is surprising considering how old the technology behind them is. The vacuum tubes that are the basis behind their operation is pretty old-fashioned. Nowadays, solid-state amps are seen more often. Still, tube amps are holding on to their market share. Because of their technical nature, questions about tube amps can be commonly heard. For example, one common question is does a bass guitar need a tube amplifier? This stems from the fact that a lot of bass guitar players prefer using tube amps. Other frequent questions about tube amps come up often that this article focuses on several of them. Hopefully, they can help answer some of your own questions. How Do I Properly Operate My Tube Amplifier? One of the first things that people ask about is how to properly work their tube amp. It can be intimidating operating one considering it is a bit of old technology. However, it is actually pretty simple. First, power it up by turning it to flipping on the “standby” switch. This starts the current running. You then wait for a minute for the amp to warm up. 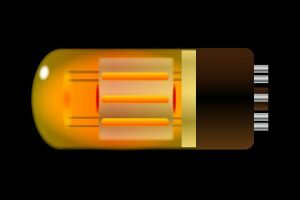 Tube amps use vacuum tubes to operate and those need a chance to heat up before full operation. After a proper warm-up period, you then flip the “on” switch. This puts the main circuit into play. When your amp is in full operation, the standby switch is unnecessary. Wait a minute then flip the standby switch off. This is a relic of the old habit of sharing amps during contests or radio shows. When a performer was done with his set, the amps stayed on the stage, ready for the next set. Leaving them on would be wasteful. However, a full turn-off would require another warm-up for the tubes. So, amp makers added a standby mode to keep the tubes active. When it’s time to turn off an amp, the standby mode is still useful. When you turn off an amp, there is still electricity in the capacitors. When you set it to standby, this discharges the current. So, turn on the standby mode after disconnecting the amp and turning it off. What Are Some Common Tube Amp Brands? Tube amps are still a popular piece of technology nowadays. You can see this in the various tube amp manufacturers still active nowadays. The top of the heap are Fender and Marshall. The Fender brand is legendary in guitar circles and their tube amps are excellent. Marshall tube amps are just as legendary, with over decade of solid reputation behind them. However, you do not have to choose just between the two companies. There are dozens of great tube amp makers that you can choose from. For example, Orange produces the Tiny Terror amp line, which delivers a hell of an audio punch for its small size. Another favorite is Mesa Boogie which have amps that can deliver a solid wall of sound with crisp audio details. Other names to take note of when tube amp shopping are Peavey and Vox, both great manufacturers. Why Should I Use Tube Amps? The big question that people ask is why tube amps? Why not go for solid-state amps which are more modern? It all comes down to the sound that they produce. Many musicians swear on the natural sound that tube amps produce. When you hear a recording from the 50s and older, tube amps are behind that sound. The design of solid-state amps is to accurately emulate that sound. Though these amps can perform just as well, it is better to go to the original. What is Tube Rolling and How to Do It? There are several ways to tweak your tube amp and tube rolling is one of them. The idea behind it is to tweak your amp by trying out tubes on the same spot on an amplifier. Different tubes have different effects on the sound. With tube rolling, you are trying to determine which tubes work best with your amp. If you’re a perfectionist, tube rolling is a great way to optimize your amp. However, you need to be careful. Tubes can get hot during operation – which is exactly when you’ll be rolling. Use adequate protection when rolling like a heavy glove. There are two tube types you’ll be rolling the preamp tubes and the power tubes. Preamp tubes should be easy to roll. Just have a good set of tubes from a variety of manufacturers so that you can have a wide selection. Power tubes are more difficult. They usually require you to replace all of the tubes and to reset their bias. We’ve got everything you’ve ever wanted to know about tube rolling here. What Are NOS Tubes and Should I Get Some? Another way to tweak your tube amp is to use NOS tubes. NOS means New Old Stock. This refers to tubes made before 1970. The most important thing about them is that they are still in pristine condition, never being put to use. Made in the golden age of tube technology, NOS tubes are a rare find. Some people swear they work better because of their origins. Most people just buy them because they have vintage amps. They tend to be very expensive though. If you are an ordinary amp user, it is better to just buy new rather than get NOS tubes. Does a Bass Guitar Need a Tube Amplifier? The answer is that it definitely up to your preference. Unlike most guitars, bass guitars already have a great sound. This translates well with solid-state amps. However, tube amps can enhance that sound into a warmer, well-rounded one. If you are confident in your skills, you can play well with solid-state amps. However, if you’re a beginner, you may need the boost that tubes amps can deliver. Once you’ve got a great tone going though, you may need a hand with some of the fundamentals. Check out the Fool’s Gold Method for learning guitar if you’ve got little to no experience and want to quickly jump past the beginner stage. Hopefully, this article answers the question of does a bass guitar need a tube amplifier and similar others satisfactorily. 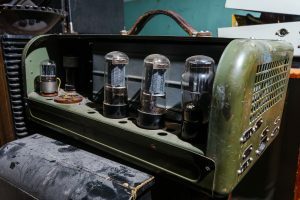 There are dozens more questions out there, but knowing answers to these basic questions should be enough to get you started on learning more about tube amps.